Contrast Clause: This is an upgrade of Torrent #139289 in terms of sound quality. This recording is not sourced from the bootleg CD uploaded as Torrent #139289. I received this cdr in trade as "digital mix from 4-channel, Dolby C master" which I take to mean the 4-channel master reel was mixed down to a cassette which later ended up on a cdr. There is some audible evidence suggesting that the mix may have been done on-the-fly or that it was a monitor mix recording to begin with. The cut in Tripe Face Boogie is suggestive of a cassette tape flip. At any rate, it sounds excellent with great clarity, separation, and punch. I remain uncertain of the date for this set. The date as I recieved it in cdr trade was April 1973. Track 1, the MC pronounces: "Okaaaaay. Direct from a return engagement at Mrs. Hull's Boarding House, here they are, Little Feat". In FeatBase there are no entries for San Francisco or The Boarding House in 1973, and particularly not the night before this date which is occupied by a date at another venue. Featbase lists the following dates for Richard's in Atlanta: Sep, 17-20, 1973 and Aug. 22-24, 1974, and only one date for the Boarding House in San Francisco: 6/1/1976. However, this set matches perfectly that given for Torrent #139289, and is the only one of the dates for which a soundboard recording is known to exist. Following are details from the superceded Torrent #139289. 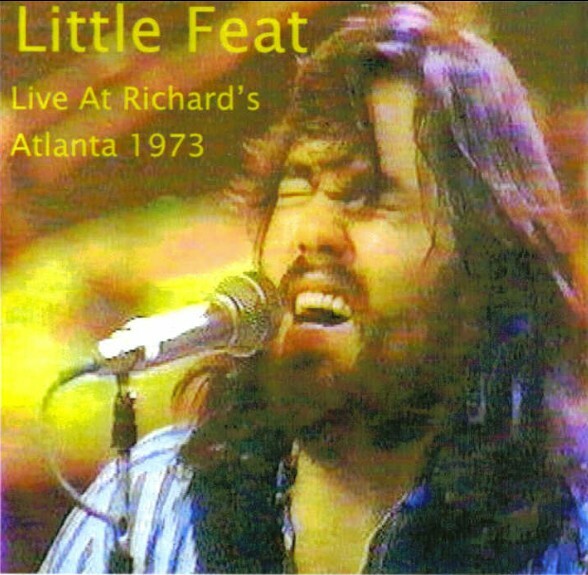 "They (Little Feat) were billed as the opening act for Bonnie Bramlett and when they got done I nearly left because I didn't see how Bonnie and her band could top what I had just seen the Feat do. There was no equipment change between sets and I thought it odd that two bands would share the same equipment. I'm glad I stuck around! There was no equipment change because the Feat was Bonnie Bramlett's back-up band!"